5 Effective Ways To Gain Exposure From Your Videos | GUI Tricks - In Touch With Tomorrow! 5 Effective Ways To Gain Exposure From Your Videos - GUI Tricks - In Touch With Tomorrow! In today’s era, videos are one of the best ways to gain exposure for your brand or business. It has proven that videos are getting more attention span from the audience than text and image-based content only. It would be better if all three of them combine in one single post. There are some claims that websites are ranking higher once the viewers stay longer due to videos. Others say that videos are helping clients get higher conversion rates in clicks and sales. It Means That Videos Are Now The Talk Of The Town! More and more people are willing to spend time watching a video when seeing it in a Facebook timeline, Twitter feed, Youtube subscription, etc. Even if they’re at work and browsing Facebook at the same time, they would stop just to watch a video. It means there are a lot of opportunities for brands and businesses to gain more exposure and sales by doing videos. Even if you are just starting out, you can make a difference by simply embracing the learning process until you master the art of video marketing. One of the biggest concerns of newbie video marketers is their exposure. They understand that businesses want to have results as fast as they can, just like the traditional markets around the corner. However, this is a different ball game, and they have to put some effort and persistence in optimizing and promoting videos in a legit and useful way. This method is applicable for blogs that are having massive organic or paid traffic. If you want your readers to stay on your blog for a long while, it is better you should embed relevant videos to your topic. For instance, let’s say that your topic is all about dog health. You should embed at least one video from Youtube or any platform out there. The same thing goes to guest posting. Don’t just focus on providing the draft and images alone. Try to include at least one video URL or embed code within the article. Even if the blog owner only requires text and images, videos are necessary to gain authority to the blogger’s site. Either way, it is a win-win situation. However, it is time consuming when you do this manually. Make sure that you do not overdo this every day, as social media platforms have their filter that could detect spam activity from your account and get flagged. One way for your video to get exposure is to find relevant videos on Youtube and other video sharing platforms. When you find related videos, see to it that the comments are enabled. You can’t just comment with your video URL only. It has no value and may get deleted or flagged by the owner of the video you’ve just commented. When you comment on a video, be like a human and not a robot. Let’s say that someone else's video inspires you, don’t just say thank you and add your Youtube video link for everyone else to see. Try to come up with at least two to three sentences of comment to make it look legit to the video owner and the others. If you want real targeted traffic, pay up! One of the social media trends that you need to look forward to 2017 is no other than paid social ads. Recently, Facebook and other social media platforms are implementing an algorithm regarding the posts you have for the audience. As a result, it is quite difficult for them to optimize their social media content. With paid social media ads, it is easy for them to target a specific audience for their niche. For example, you are promoting a diabetes product within Phoenix, Arizona. You can set your ads to that location and interests from people can be related or connected to diabetes. Once you set everything (including the budget), you’re ready to go. For some internet marketers, they thought that retention views are dead. However, it’s not true. Some retention views services which are not legit, which leads your number of views to stuck up due to illegitimate sources that they’re sending views to your video. 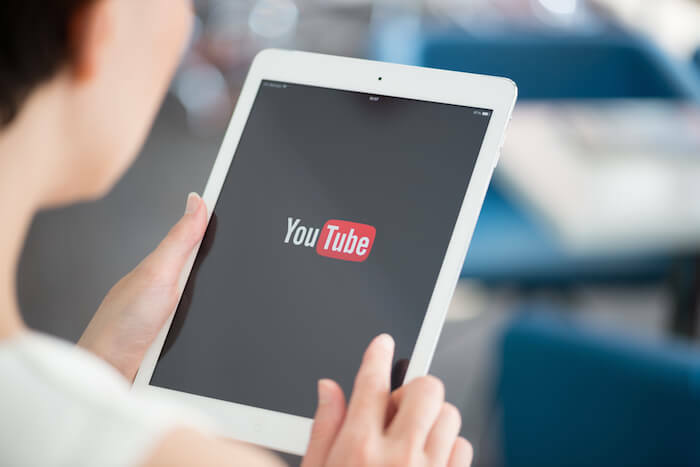 There are only a handful of legit Youtube high-quality retention views that brands and business are counting on, and it complies with the Youtube’s standards. Legit Youtube service providers like Claim Social Authority and the rest can bring you real views that are valid and credited to your video. Even though those services like this are not perfect and may change from time to time due to the unexpected Youtube algorithm changes, they are just giving you more than what you’ve spent to gain exposure for your videos. Gaining exposure is what really matters most for brands or businesses in hopes of getting leads and possible sales to their respective products and services. At the end of the day, it is all about taking action of what you learned about gaining exposure of your videos. It sends a message about your company or brand’s purpose to connect with the customer’s feelings. Make them feel that they need you by connecting with them through your video by offering a solution in a nice conversational way rather than being a “salesman” or “advertisement” type video. At least these methods could help you get started to increase exposure once and for all. You just need to keep going until you find some success in your part, and share it with others that could help them too.